Margaret Thatcher (1925-2013) was Britain’s first female prime minister, who became a pivotal figure in British and world politics. 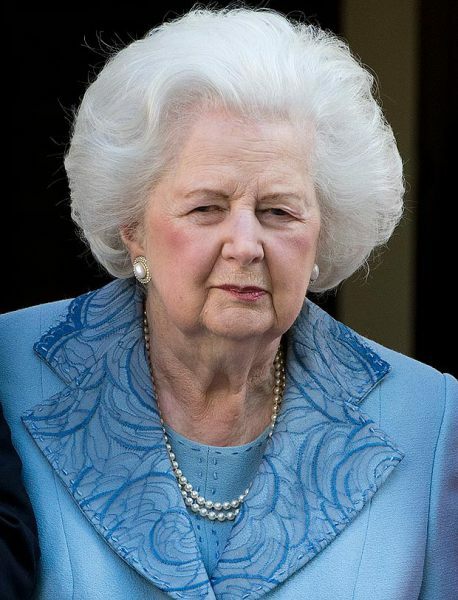 After studying at Somerville College, Oxford University, Mrs Thatcher progressed through the ranks of the Conservative party to become education minister in Ed Heath’s government of the early 1970s. It was as education minister that Mrs Thatcher developed a rather crude nickname of “Maggie Thatcher – the milk snatcher” It was as education secretary that Mrs Thatcher ended free school milk. Even as a minister, Mrs Thatcher proclaimed that Britain would never have a female prime minister. Mrs Thatcher wasted no time in introducing controversial economic policies. She believed that a harsh implementation of Monetarism was necessary to overcome the economic ills of inflation and low growth, which she blamed on the previous Labour government. However, although she was successful in reducing inflation, deflationary monetary policies caused a serious economic recession, in which unemployment rose to 3 million. The opinion was strongly against many of her policies. In a famous letter to the Times newspaper, 360 economists wrote a letter arguing the government should change its policies immediately. However, in true Thatcher style, she refused. Instead, she stood up at the Conservative party conference and stated: “You turn if you want to, but this lady is not for turning.” It was characteristic of her whole premiership – fierce in her beliefs and unwavering in her commitment. “To me, consensus seems to be: the process of abandoning all beliefs, principles, values, and policies in search of something in which no one believes, but to which no one objects; the process of avoiding the very issues that need to be solved, merely because you cannot get agreement on the way ahead. 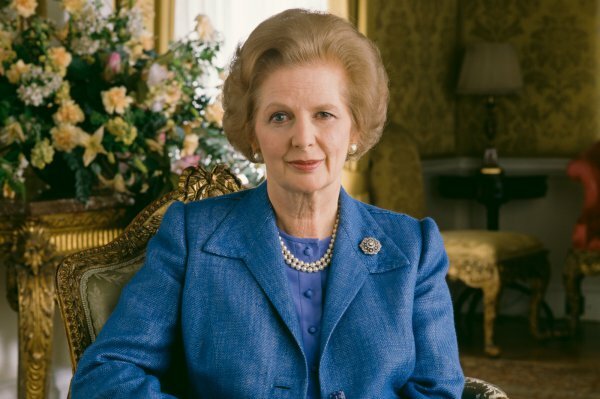 What great cause would have been fought and won under the banner ‘I stand for consensus’?” – Mrs Thatcher, The Downing Street Years (1993) Margaret Thatcher eIn the midst of the recession; the Falklands islands were invaded by the Argentinean army. Mrs Thatcher sent a British expeditionary force to reclaim the islands. With relatively light casualties (although many hundreds died in the conflict) the islands were retaken. This military victory brought a fillip in support for Thatcher. However, it is worth noting she was criticised for both her decision to sink the Belgrano (which was sailing away from the conflict zone) Others also criticised her triumphalist spirit. On reclaiming the islands, Mrs Thatcher proclaimed: Just rejoice at that news and congratulate our forces and the marines. .. Rejoice. Many felt this was inappropriate given the recent casualties on both the British and Argentinian sides. Another defining feature of the early Thatcher administration was her battle with trades unions. Thatcher wanted to reduce the power of trades unions, in particular, she wished to reduce the influence of the militant mine workers union, the NUM led by Arthur Scargill. Mrs Thatcher prepared the country for a long strike; when the miners went all out on strike in 1984, they were eventually forced back into work after a year long bitter struggle. In foreign policy, she got on well with American President Ronald Reagan. But, she also expressed respect for Russian President Mikhail Gorbachev. She famously said of Gorbachev, that ‘he was a man who we could do business with.' Mrs Thatcher visited the Soviet Union in 1987 and was well received with thousands turning up to see the Iron Lady. 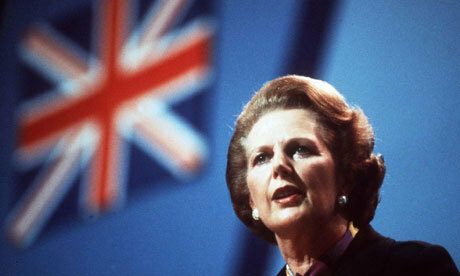 The term ‘Iron Lady’ was initially designed as a critical label by a Russian newspaper, but Thatcher seemed to revel in the label, and it stuck. On a domestic front, the remaining years of her premiership were overshadowed by her controversial and dogmatic decision to stick with the poll tax. This was widely regarded as an unfair tax because everybody paid the same amount regardless of income. Opposition to the poll tax spilt over into violent protest and her popularity plummeted. She also became associated with policies to promote individualism. In one quote (often taken out of context) she said: “They’re casting their problem on society. And, you know, there is no such thing as society. There are individual men and women, and there are families. And no government can do anything except through people, and people must look to themselves first. It’s our duty to look after ourselves and then, also to look after our neighbour. People have got the entitlements too much in mind, without the obligations.” (transcript of interview) Because of her declining popularity, she was eventually forced out in 1990. Although she was bitter about her perceived betrayal, she left an unprecedented mark on the UK economic and political landscape. 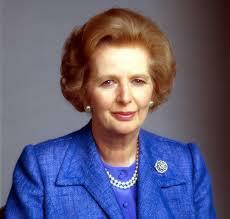 For good or ill, she changed the British economic and political situation. In particular, Thatcher marked a break with ‘One Nation Conservatism’ and the post-war consensus. It is ironic that when Labour eventually regained power in 1997, it was largely due to the fact Tony Blair and new Labour took on board many of the economic policies that Mrs Thatcher had initiated. There was often a mutual respect between Mrs Thatcher and Tony Blair. Thatcher died on 8 April 2013 at the age of 87 after suffering a stroke.